DENVER, CO / ACCESSWIRE / November 9, 2018 / Social Life Network, Inc. (OTCQB: WDLF), today announced that it will expand the topics of their shareholder update call that was announced on November 6th, to include a 10-Q update from the CFO, and the update on their Canadian IPO progress of MjLink.com, Inc., a wholly owned subsidiary of Social Life Network. The call is scheduled for after the close of trading on Wednesday, November 14, 2018, at 1:30pm PT/4:30pm ET and will be held by Ken Tapp, CEO and Mark DiSiena, CFO. Mr. Tapp and Mr. DiSiena will be holding the shareholder call from MjBizCon, a cannabis business conference held at the Las Vegas Convention Center from November 14th through Nov 16th. The conference is expected to be the largest and most well attended in the history of legalized cannabis in the United States. MjBizCon staff is expecting more than twenty thousand business professionals to attend this year, and MjLink.com is a major sponsor of the event. A replay of the call will be available beginning November 14, 2018 at approximately 7:30pm PT/10:30pm ET through November 28, 2018. To access the replay, dial (877) 660-6853 or (201) 612-7415 and reference Conference ID: 13685001. The webcast will also be available on Social Life Network's website for six months following the completion of the call at www.social-life-network.com. 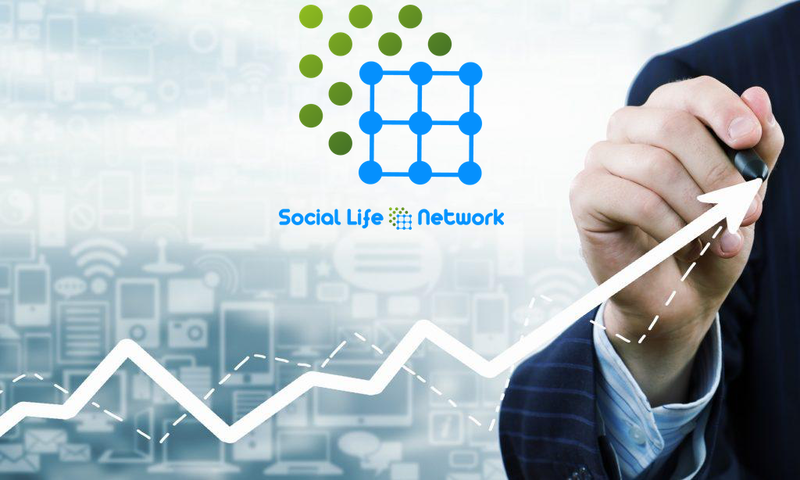 Social Life Network, Inc. is an artificial intelligence and blockchain powered social network and e-commerce technology company based in Denver Colorado. They launched their first social network, WeedLife.com, in the cannabis and hemp industry in 2013, and have since launched niche e-commerce social networks to meet the growing demand for social technology in the residential Real Estate industry and many sports verticals including Golf, Cycling, Tennis, Soccer, Hunting & Fishing world-wide.